Thaynk you soo muuch for flah-in Deltah Aha Lions. I started out as a loyal Delta frequent flyer back in the day. I liked their “Easy Street” terminal at DFW, enjoyed the friendly service, and admired the fact that they still put a route map in the seatback pocket. 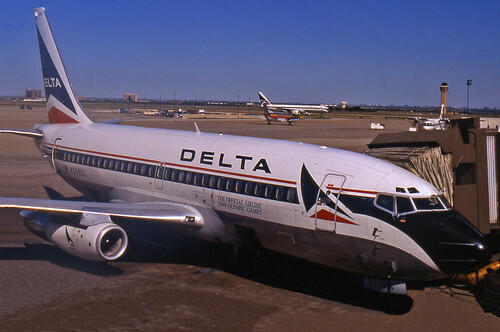 I was too young to really remember the Golden Age of airline travel, though I do have fond memories of Braniff International Airways, and in some ways Delta seemed like a throw-back to that era. By 2001, as Delta started to reduce the number of flights out of DFW, I started to fly more and more on American Airlines. So I said goodbye to SkyMiles, route maps, the announcements spoken with a distinctive “Southern Drawl”, leaving and returning to the same terminal, and signed up for the AAdvantage frequent flyer program. So now it’s hello American Airlines, more than 750 non-stop flights from Dallas, parking spread over four terminals, announcements spoken with a Texas twang, extra Dr. Pepper on international flights, and AAdvantage miles. Now I know that every loyal frequent flyer member probably feels the same way, but thanks to AAdvantage miles I’ve been able to enjoy riding in first and business class, travel to far-off cities in distant countries, take long weekend trips to places like London, and bring along others to share the experience. Maybe I’m just lucky, but I’ve always been able to redeem my miles for the places and dates I’ve wanted to travel, and I’ve always been able to use the fewest amount of miles for award travel, so for me, the AAdvantage program has been very rewarding. There are many great sites for frequent flyers, but none that I know of that focus exclusively on earning and using AAdvantage miles, so I decided to start one. Hopefully I’ll be able to share some information that others might find useful and learn some tips from others, so feel free to send your comments, tips, opinions, or suggestions. 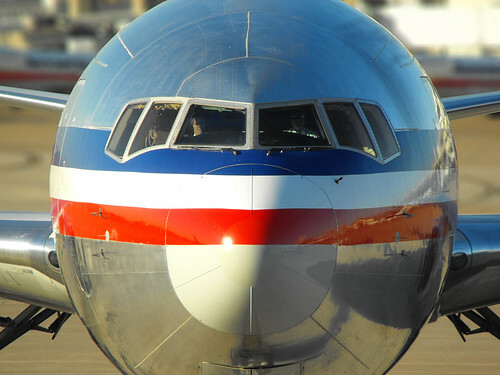 The Unofficial AAdvantage Blog is not affiliated with American Airlines. All opinions expressed on this blog are solely those of the author and do not represent those of American Airlines.